FaceTime for Mac Announced ! Beta Release Today ! 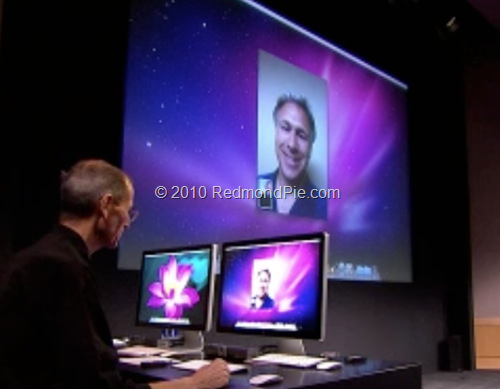 FaceTime has just been announced at “Back to the Mac” event. It’s only coming for OS X though. So there will only be iPod touch 4G to iPhone 4 to OS X-based devices based. It won’t be integrated into iChat. There is an entirely separate app called FaceTime for the Mac. You use Mac’s Address Book and can make calls to available people right from there. It’s going to be out today in beta form! We’ll update this post as soon as it is up for download! UPDATE 1: FaceTime for Mac Beta is now available for download.